Home NEWS Baba Yao sacks all former CECs, includes three women in his cabinet. Baba Yao sacks all former CECs, includes three women in his cabinet. Kiambu Governor Ferdinand Waititu alias ‘Baba Yao’ has sacked all the county's 10 CECs and replaced them with new ones. Waititu also appointed his co-principals Rev. David Kariuki Ngari (Gakuyo) and John Gathigi Mugwe as Chief Minister and Roads CEC respectively. Only three women made it to the list. On Tuesday, the governor forwarded the list of the new CECs to the county assembly for vetting. 1. Wilson Mburu Kang’ethe – Finance and Economic Planning. 2. Dr. Joseph Ng’ang’a Murega – Health Services. 3. Henry Gichuhi – Agriculture, Livestock and Fisheries. 4. Dr. Margaret Waithira Ruinge – Administration and Public Service. 5. Michael Ndung’u Mutua – Education, Gender and Social Services. 6. Dr. Isabel Nyambura Waiyaki – Trade, Tourism, Co-operatives and Enterprise Development. 7. James Mitambo Maina – Lands, Housing, Physical Planning and Urban Development. 8. John Gathigi Mugwe – Roads, Transport and Public Works. 9. David Kimani Kuria – Water, Environment, Energy and Natural Resources. 10. Mary Wanjiku Kamau – Youth, Sports, ICT and Communication. Pursuant to Section 7(2) and (4) of the Public Appointments (County Assemblies Approval) Act 2017 the names will be presented for public scrutiny within the next seven days before they are tabled to the house for vetting. 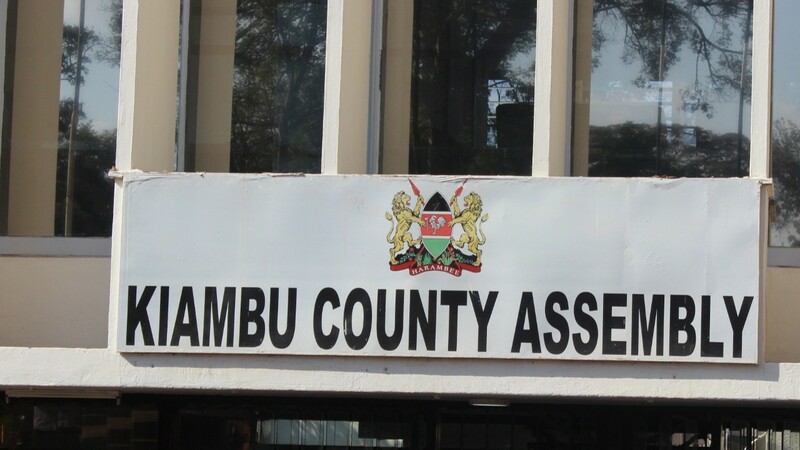 Kiambu speaker Stephen Ndichu said that the Committee on Appointments must commence public hearings any day from October 11 2017 and table its report to the assembly for consideration not later that 31st October 2017. Members of the public are welcome to attend the vetting and to forward to the assembly, any reason they have to oppose the appointments and evidence on why any of the nominees are not suitable.